A ticket matching five of six numbers was sold in San Diego, but the winning ticket in Tuesday evening’s record-setting draw of the multi-state Mega Millions lottery was sold in South Carolina, the South Carolina Education Lottery announced. The numbers drawn Tuesday were 5, 28, 62, 65, 70 and the Mega number was 5. The jackpot was $1.6 billion. A ticket sold at a Chevron gas station in the Del Cerro neighborhood in San Diego matched five of six numbers, California Lottery officials said. It was one of eight tickets sold in California that only missed by one number. Those tickets were sold in San Luis Obispo, Stockton, Rancho Cucamonga, Chatsworth, Arcadia, Norwalk and San Francisco. They are worth $562,472 each as California law requires major payoffs of lottery games to be paid on a pari-mutuel basis, lottery officials said. The drawing was the 26th since the last time a ticket with all six numbers was sold. The previous record was $1.586 billion for the Jan. 13, 2016, Powerball drawing. 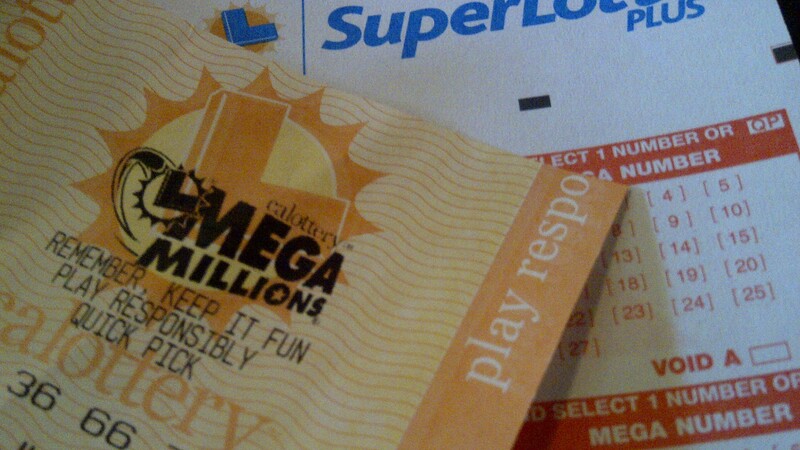 The odds of matching all five numbers and the Mega number is 1 in 302,575,350, according to the California Lottery. The jackpot for Friday’s drawing will be $40 million.